Not really a “proper” blog post today, but I couldn’t resist posting a picture of my latest creation. I personally feel it’s a great way to save money on a camera tripod and to get some more use out of those expensive home study courses we all buy! I actually sent this post as an email to my Boomerang List Builder customers, but thought it may give the rest of you some ideas so I’ll stick it on the blog as well! To start off with, this idea requires you to already have a mailing list. 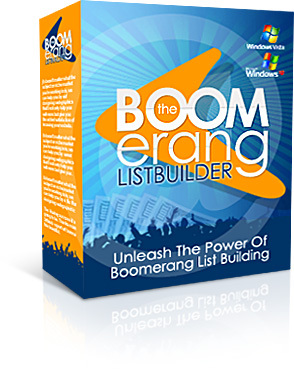 So if you own the Boomerang List Builder you should fit that criteria. If you don’t fit that criteria then do check out the Boomerang List Builder. But as I said, if you already own the Boomerang List Builder you should already have built a substantial mailing list, so what do you do next? You can either be content with the list you’ve built, and carry on doing what you’ve been doing, or you can use your mailing list as leverage to broker new deals that would dramatically increase the size of your list, and as such the income from it. 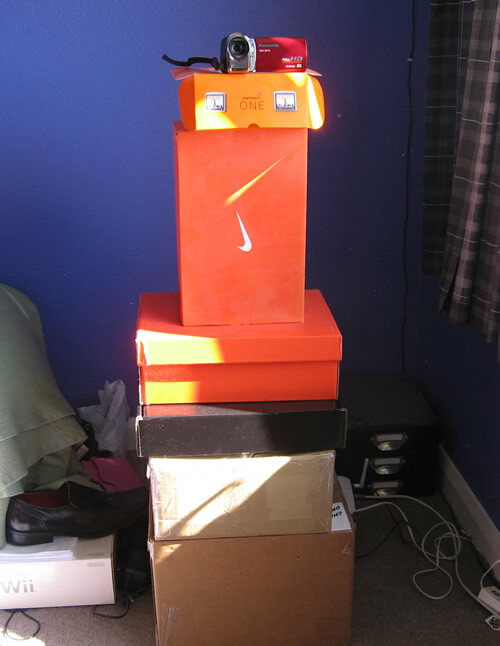 You can do this by using a technique called “Adswapping”. At the time of writing it’s free in exchange for an opt-in, but as you already know (I’m not going to insult your intelligence) this message is sent out in an auto-responder sequence and things do change, so if you have any problems let me know.